Staten Island District Attorney Daniel Donovan (R), the prosecutor at the center of the case involving the chokehold death of Eric Garner at the hands of police, defeated his Democratic challenger to replace former Rep. Michael Grimm as a US congressman. The Associated Press called the election for Donovan just twenty minutes after the polls closed, showing Donovan with a lead of 60 percent to Democratic City Councilman Vincent Gentile’s 38 percent, with 93 percent of precincts reporting. The House seat represents New York’s 11th District, which covers all of Staten Island and parts of Brooklyn. The area is home to “many police officers, fireman and other public servants and is one of the most pro-police districts in the country,” reported The Hill. Donovan will replace former Congressman Michael Grimm (R), who was found guilty of one count of federal tax evasion in December 2014. He had just won re-election to the House in November after serving one term as a congressman. Grimm was accused of concealing more than $1 million in revenue and failing to report hundreds of thousands of dollars in employee pay at his Manhattan restaurant. He was scheduled to go to trial in February and faced a 20-count indictment including charges for paying workers – some undocumented immigrants – off the books with cash, underpaying his taxes, and committing perjury when discussing his restaurant dealings with investigators. Grimm reached an agreement with federal prosecutors to plead guilty to one count. Under the plea agreement, Grimm could face up to three years in federal prison. His sentencing is scheduled for June 8. Donovan, a little known politician, gained national attention after he failed to persuade a grand jury to indict New York Police Department Officer Daniel Pantaleo in the homicide of Staten Island resident Eric Garner. Garner, an unarmed African-American, died last summer when a police officer put him a chokehold after confronting him for allegedly selling loose cigarettes. Despite a video recording of the incident, Pantaleo was not indicted. 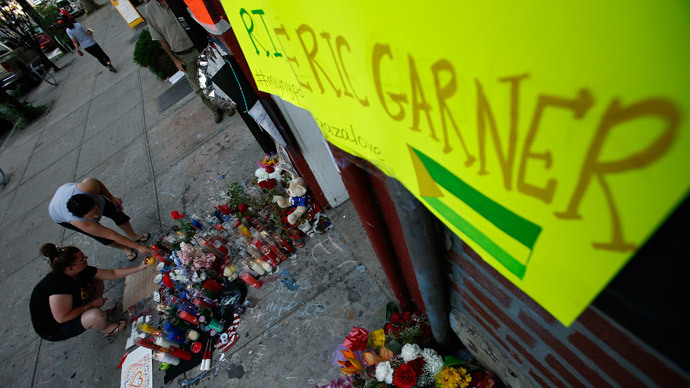 Garner’s case led to national protests both before and after the grand jury decision, as well as a demand for police reform. Donovan will be up for re-election again in just 19 months and could face a stiffer challenge in 2016. The 11th district leans conservative in non-presidential years but is generally competitive when the White House is in play.